Photo via City of Tallahassee, Florida. Hurricane Michael hit the Florida Panhandle on October 9th, intensifying at an unusually rapid speed and quickly becoming the most powerful hurricane ever to hit the region. 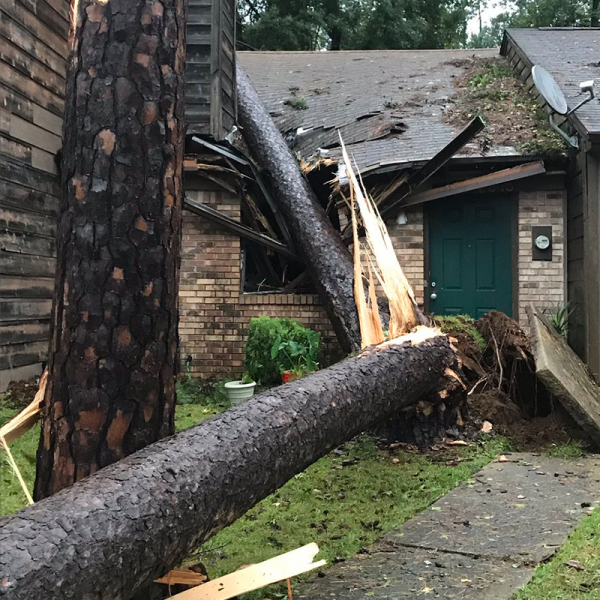 The catastrophic storm took millions of residents by surprise as it tore through five Gulf Coast states with winds of up to 155 mph, leading to at least 12 deaths and leaving more than 1.4 million people —from Florida to Virginia— without power. Entire communities along the Panhandle have been left unrecognizable. Homes, schools and business across several counties have been destroyed, forcing tens of thousands into emergency shelters, including hundreds of patients from two Florida hospitals. Emergency response crews, some traveling from recent deployments to areas devastated by Hurricane Florence just last month, are beginning to asses the damage and clear debris to reach residents in need of help. Although damages are estimated at up to $4.5 billion, the true impact of the storm will not be known for some time. The affected communities in the Panhandle and surrounding areas face a long and grueling recovery. The American Red Cross is providing emergency shelters, supplies and vehicles and mobilizing thousands of disaster workers in communities affected by the storm. The organization is also requesting urgent blood donations in an effort to meet critical need. Americares has deployed an emergency response team to provide residents in Panhandle communities with emergency medicine, supplies and other humanitarian aid. Team Rubicon is providing rescue and recovery equipment in communities along the coast to assist with response efforts. Operation USA is assisting with damage assessment and working with community-based organizations to offer support to affected communities. The United Way Worldwide Crisis Response team has launched a United Way Hurricane Michael Recovery Fund to support Gulf Coast communities that have been impacted by the storm. Save the Children has established a Hurricane Michael Children’s Relief Fund to provide emergency supplies and other aid to children and families who have been affected by Hurricane Michael. Feeding the Gulf Coast supports emergency relief in the form of distributing food and water to the affected areas. The state of Florida has established the Florida Disaster Fund to help communities respond and recover. FEMA provides immediate and long-term assistance for those who have been affected by the hurricane. The Florida Department of Emergency Management offers links to evacuation information, food assistance, public shelters and storm recovery help.